Rocky forests and thickets, on stream banks, and in burned or cleared areas. A handsome, very local, large-flowered plant. 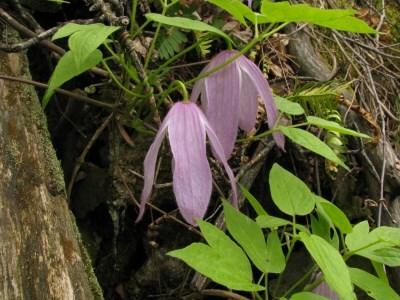 This normally occurs in a much drier, upland habitat than our other, much more common native species, Clematis virginiana. The leaflets range from being essentially entire to being variously toothed, though rarely are they so regularly toothed as those of C. virginiana. Vegetative individuals of this species with ± regularly toothed leaves can be distinguished from C. virginiana because the teeth lack the ± abrupt and often bent apiculus typical of teeth (especially the upper ones) in C. virginiana. MICHIGAN FLORA ONLINE. A. A. Reznicek, E. G. Voss, & B. S. Walters. February 2011. University of Michigan. Web. 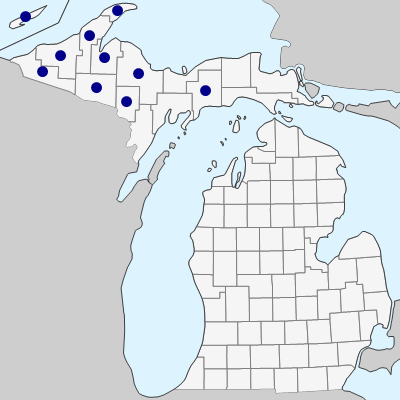 April 19, 2019. https://michiganflora.net/species.aspx?id=2367.